Antarctica's pristine whiteness could soon be a thing of the past as climate change is giving rise to a moss that is changing the continent’s color, according to a new study. By studying the quantity of moss on the icy continent, researchers from three British universities found that its rate of growth over the last 50 years has increased dramatically. The team gathered their data from five vertical columns of sediment, known as cores, drilled from three antarctic islands spanning a distance of over 1,000km (621 miles). As such, the cores act as time capsules, allowing the scientists to peer into the past and see what changes the continent has undergone. The study, published Thursday in the journal Current Biology, looked back over the past 150 years, concluding that biological activity had greatly accelerated, particularly since the middle of the 20th century. Not only that, however, the rate of growth is now four to five times higher than it was prior to 1950. That still doesn’t mean that the continent is becoming a green house. 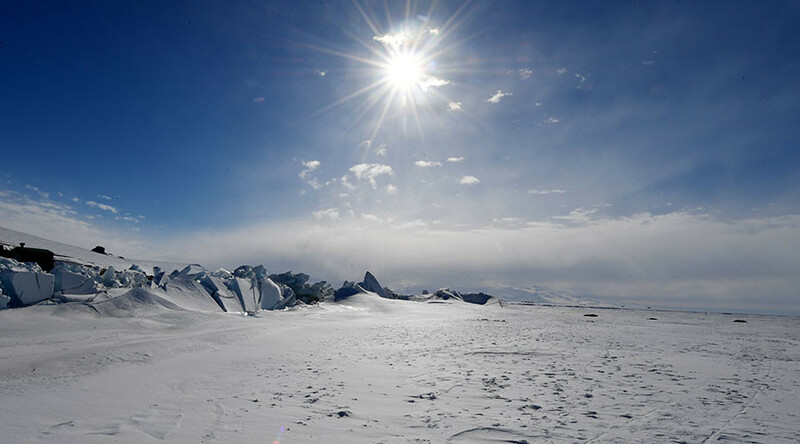 “People will think of Antarctica quite rightly as a very icy place, but our work shows that parts of it are green, and are likely to be getting greener,” said Dr Matt Amesbury, of the University of Exeter. “This is linking into other processes that are happening on the Antarctic Peninsula at the moment, particularly things like glacier retreat which are freeing up new areas of ice-free land – and the mosses particularly are very effective colonisers of those new areas,” he added.